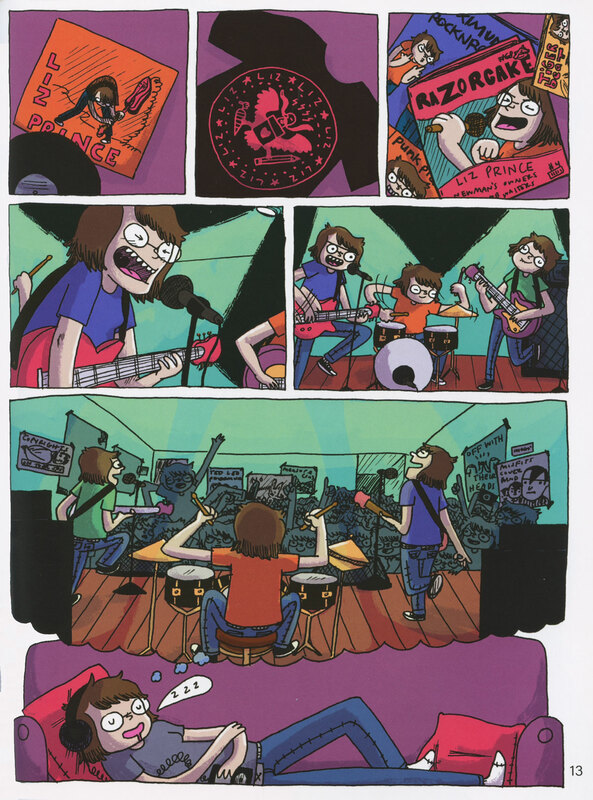 Comics with the energy & heart of a DIY basement show! Category: graphic novels. Genres: Anthology, Autobiography & Memoir, Drama, Humor, Mature Content, Music. Concerning: if you make it and live shows and razorcake and records and reviews. 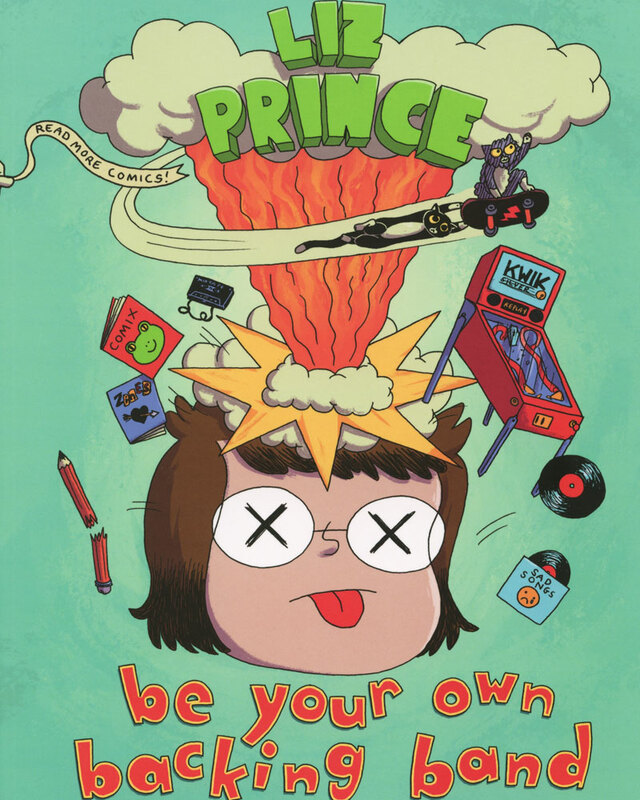 Liz Prince has been drawing comics about her love for punk music for a long time. 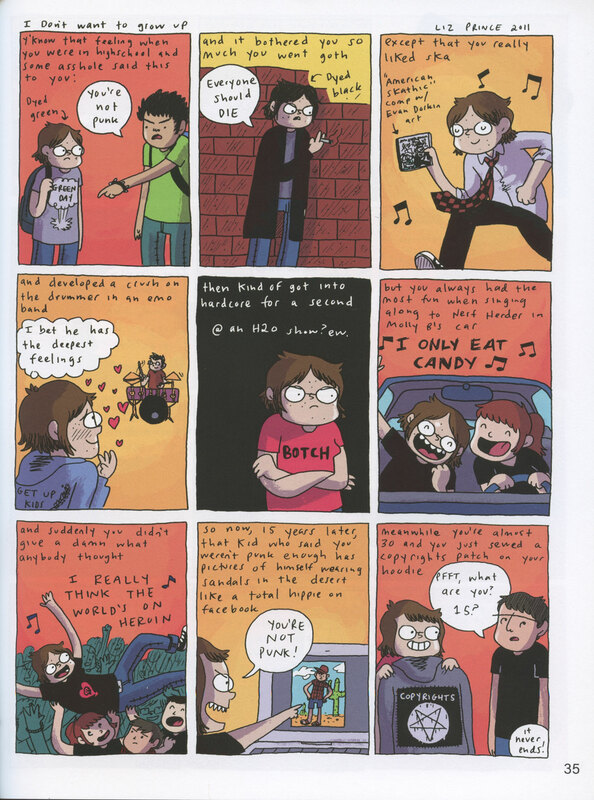 In 2010 Liz started drawing comics for the website, If You Make It, and followed that up with doing the same for the non-profit punk magazine, Razorcake. 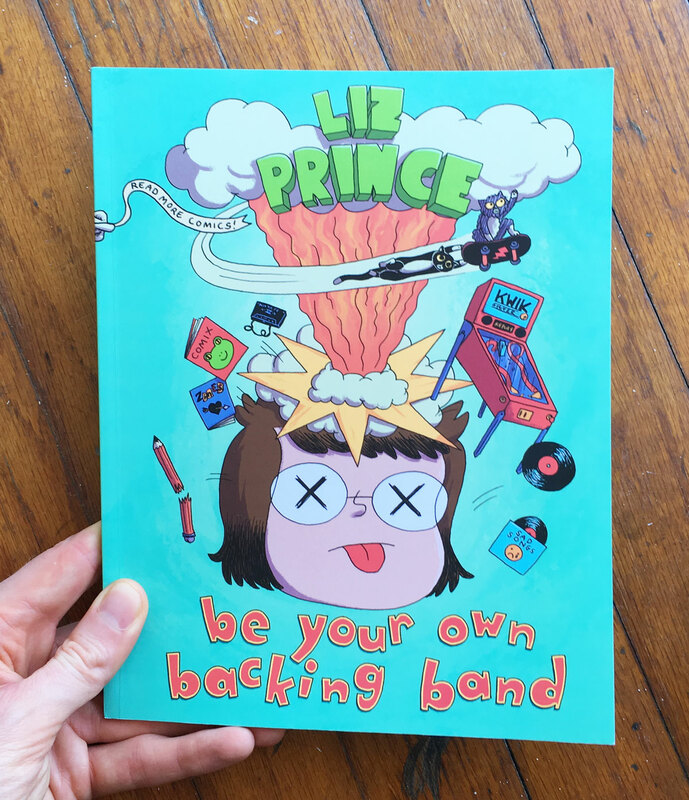 Be Your Own Backing Band collects these comics in a single volume! It can be helpful if you’re familiar with the DIY music scene these two outlets cover. Liz doesn’t shy away from quoting whole punk songs, or writing recaps of shows she goes to. But as someone who is only familiar with the very periphery of this scene, I can assure you most of the comics will connect with you. 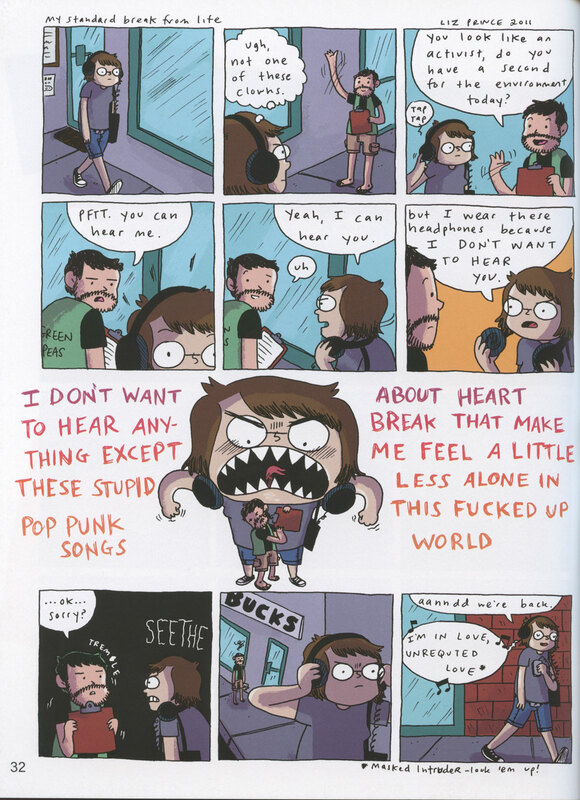 What Liz really captures in these comics is a love for her favorite music, and the community to which she belongs! So if you dig music, if you xoxo whatever creative community you call your own, you’ll dig this comic like a grave! 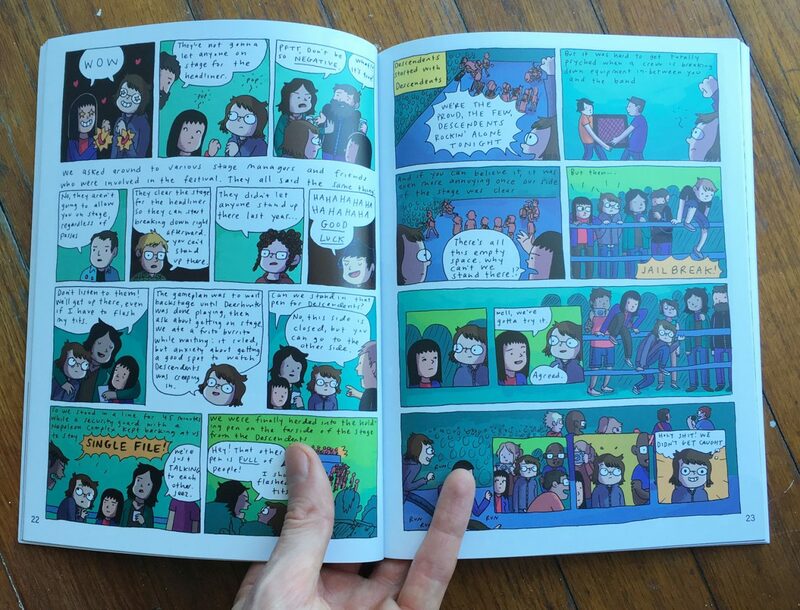 This 2nd edition of the book was published by Silver Sprocket Bicycle Club, is now in vibrant colors by Hannah Templer, and features some pretty sick collaborative comics with Jim Kettner, and with Mitch Clem & Amanda Kirk. 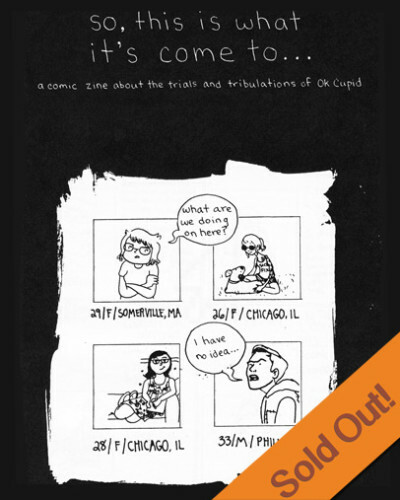 Plus essays by Dave Garwacke of If You Make It, and Todd Taylor of Razorcake!